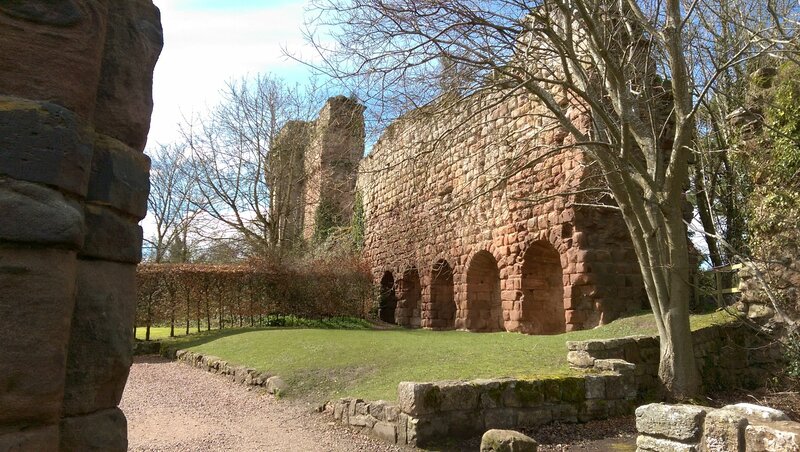 I recently visited the historical Rosslyn Chapel in Roslin and also found out about Rosslyn Castle! I was so excited to see this! You can walk down from the chapel to the ruins, but the house part is private. You can rent this out though via the Landmark Trust. What an amazing place to stay for a week or longer! There are beautiful walks around Roslin Glen, deep below the castle ruins, but I sadly never got a chance to explore this area. Well worth a visit, as is Rosslyn Chapel! More photos and information on my blog if you fancy a look . I have also recently discovered and visited Rosslyn Chapel. Really pretty chapel with so much history and the stone carvings are stunning. As a photographer I was slightly disappointed that I photographs are not allowed inside but definitely worth a visit. Thanks @Samantha_Grant! I was pleasantly surprised when I visited as it was a more of a day out for my mum. I'd definitely go back as there are lots of walks in the area. The castle ruin was a surprise I never expected either! It was like walking in the woods, then all of a sudden you find this hidden place and the most amazing feeling you get. I like moments like that. The nice side of expect the unexpected . I've stayed in the castle after a wedding in The Original pub in Roslin. Felt like a journey back in time to the 1920s from the furniture and was amazing to explore inside. Rosslyn Chapel may be small but it's packed with so much interesting stonework that you can spend lots of time staring in awe around you. I used to live in the area so have walked the country park lots over the years - great place to pick brambles for home-made jam when in season as well.